It’s a sad day when this happens; especially since it usually can be avoided. Manufacturers have issued recommendations for when you should replace your timing belt. For some engines, it’s at 60,000 miles. For others it’s at 90,000 miles or more. If you’re approaching 60,000 miles, or have passed it, make sure you check your owner’s manual or with your Huntington Beach California auto service advisor at Beach Benz for when the timing belt should be replaced. Don’t let this one slip by. Now some timing belts are visible and can be inspected. Others are hidden under a protective cover and are hard to get to. Some timing belts also drive the water pump. 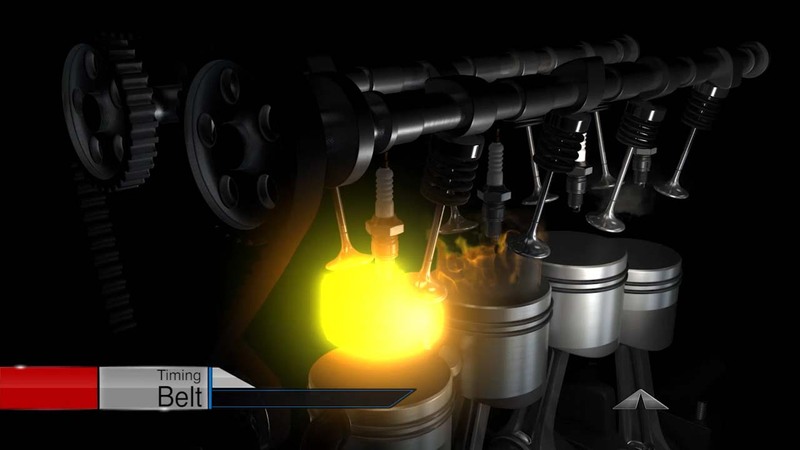 If you have a leaky water pump, the coolant will contaminate the timing belt and could make it fail sooner. So if you have this kind of engine, get it in to Beach Benz for an inspection right away if you have a coolant leak. Most people in the Fountain Valley area with this engine design end up with a new timing belt when they replace the water pump. And when you’re having your timing belt replaced on schedule, check with your Huntington Beach California auto service advisor at Beach Benz to see if it makes sense to install a new water pump, even if it isn’t currently having problems, since most of the labor is already being done any way for the timing belt replacement. We’ve already told you how very expensive it can be to get your car running again after a timing belt fails. You also need to know that replacing the timing belt is very labor intensive and is one of the most costly maintenance services you will have. So if you will be at the point where your timing belt should be replaced in the next year or so, ask for an estimate from Beach Benz in Huntington Beach California so you can begin to prepare for the expense. We at AutoNetTV are committed to helping you make your driving experience as safe and economical as possible. Beach Benz, your Huntington Beach service center, can be a valuable partner. Please take advantage of their knowledge and experience, and check out http://AutoNetTV.com for more great auto tips.